I’ve had a Facebook page for a few years now but never really used it for marketing. This week I decided to create a Facebook fan-page and I noticed there were so many applications which can be used to enhance your Facebook sites. It’s a bit like WordPress plugins. 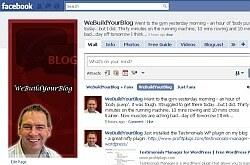 We use plugins to enhance our blogs and with Facebook you use applications. Facebook applications can make your page more lively, attractive, entertaining and engaging. Facebook applications can help get you more friends and fans and help keep them coming back for more. So, start to install Facebook applications now! Let these posts that I have found help you get the best ideas on which Facebook applications to install. 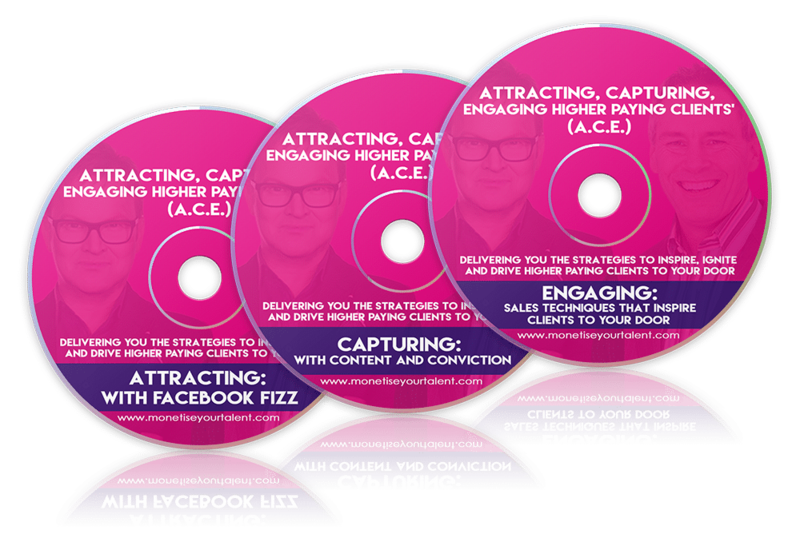 I’ve also included some articles on how you can make your Facebook pages more engaging. What do you think? All feedback and comment welcome. I’m new to blogging and I’m trying to eventually get my money income switched over to blogging but it all seems a little overwhelming. Do the facebook pages somehow help you with your blog? I use a free blog. I guess I could refer people to my blog, but can I link to it from facebook or anything? JUst curious. Thaks for your information. good day. .-= jeff @ gazebo´s last blog ..Metal Gazebos =-. By connecting your blog your Facebook can bring in more traffic. I found this post about connect your blog to Facebook – I hope it helps. I can see how this can indeed get overwhelming, so if I may interject with some advice here. Before you go into the more advanced traffic generation methods, I highly suggest getting your own domain name and blogging on your own site. Otherwise, you’re putting a lot of effort into promoting something that won’t be your main site in the long time. A domain is under $10 a year and there are very cheap hosting deals – if you’re blogging for revenue, you have to invest at least that into your future business. Just my 2 cents – and sorry for going off-topic here, Andrew! .-= Anne Moss´s last blog ..Is Someone Stealing Away Your Affiliate Revenue? =-. What you are proposing is the best advice you can give Jeff – so thanks for jumping in and sharing your 2 cents. Thanks for the tip re: FBML. I shall check it out. First time visit here and congrats on your blog’s first anniversary. Keep up the great work, Andrew. .-= Ching Ya´s last blog ..7 Features to Brand, Market, Manage with MarketMe Tweet =-. Thanks for dropping by and it sounds like you are an expert FB’er! Perhaps you could share with us any applications you recommedn, as well. Thanks for sharing. BTW at the bottom of every post summary on the front page, there is sentence stating how many words, pictures and estimated reading time, are you using a plug in for that? Andrew — I thought that Fan Page was new. I have created a Fan Page, but was still doing research on what to do to jazz it up before I sent it out to the world. Thanks for doing the research for me. Your timing couldn’t have been better. .-= CJ@Page Landing´s last blog ..KeywordLuv CommentLuv – Luv is All Around =-. I’m glad some of it may be useful to you, CJ. Thanks for all the links. Great ideas to grab attention. 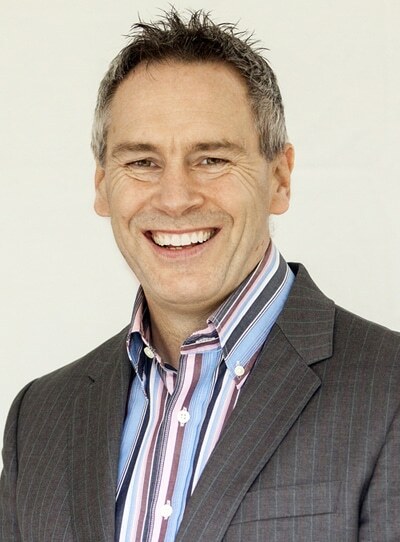 .-= Alex´s last blog ..The New Lifestyle of a Retired Entrepreneur =-. I hope some of the links/applications help. .-= Hesham @ FamousBloggers´s last blog ..Is there any Writing for Money Sites really Pays for Writers? =-. I hope one or 2 are worthwhile! I just love the music playing apps that allow you to listen to independent music and videos both. I think quite a few bands will jump ship from myspace and join facebook just because of how friendly some of those apps have become. Any particular applications – i.e. can you name them? Excellent! Think you will ? I vowed this year I was gonna get back into the social scene, as it were. I’ll be starting with twitter and go from there. I am not so active on facebook right now. When I go to facebook site I get confused how I start my work at facebook. Well Andrew can you tell me how facebook fan page can help us for traffic? .-= chandan´s last blog ..Advice and tips on work at home =-. It’s the same with most other social bookmarking sites. People have their favourites. So by automatically adding your blog posts to Facebook can reach out to those who love (and only use) Facebook. It’s another distribution channel that can be used. Plus you can build new and different relationships there as well. Thanks Andrew, I will try to do my best on facebook. .-= chandan´s last blog ..Dofollow link building resource =-. Excellent Facebook resources. My first time here. I tried Stumble but the Big SU said that they were upset with you and would not let me. 🙁 Bummer. .-= Tech Tips´s last blog ..PCs, Macs and Security, Oh My =-. I think I will start a facebook page and Invite all my friends to it! What I would really like to see is an application that people can accept through facebook that will give them RSS feeds of blogs. That would be the best! Timely post for me. I have a fan page as IsraeliMom but I basically use it to upload public albums and feed a stream of my blog posts into it. Might be time to look into some extras! I hope some are worthwhile. You are welcome – I hope some help. There are indeed some great Facebook applications out there now, however, I still find myself wasting time of the silly games like Poker, Farmtown and Mafia wars…still, fun! .-= Simon@Facebook Layouts´s last blog ..Facebook Layouts updated Wed Mar 3 2010 7:56 pm CST =-. Like you I have had Facebook for some time now but never done anything with it regarding my internet marketing business. In fact, the only thing I’ve ever done is to put a link to a couple of my blogs. Im sure a fan page would be a good idea…especially to build a name for myself. Thanks for the tips about which plugins to use, these are going to save me a lot of time when I get round to setting it up! .-= Sophie @ Soldier Costume´s last blog ..About Us =-. facebook is good only for staying in touch with your friends and sharing daily news . However its applications are kiddish and useless unlike twitter where every app has something worth using again . Facebook needs to learn something from twitter , what exactly an app is and stop making useless nonsense crappy games . 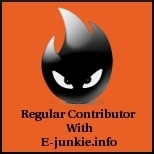 .-= Ajinkya´s last blog ..Create Mobile version of blogs free =-. Since we started a facebook page for my wife’s hair dressing business. She has gained several new customers. So it does help to get you more business. Hi, I’m a long time reader but first time commentor. I must say, you have an excellent blog!Social networks are great places to make friends and to promote your services – be it an online or offline business.There are over 2,000 Facebook applications that enable you to share information, have fun and learn about other people’s likes and dislikes. Choosing the right applications can have a mjor impact on your effectiveness in marketing on Facebook.and I agree with before comment that Facebook needs to learn something from twitter , what exactly an app is and stop making useless nonsense crappy games . Personally I’m not that into FB applications but I know many of my visitors are – hence the list. Facebook is an awesome platform and the applications built over it makes facebook even more exciting. I’ve come across a lot of applications which I started using at some point of time. Some of them really made my experience on Facebook better but with these there are also a good lot of bogus apps. If you’ve a need you’ll definitely find an app that could help you out. I suppose you have to try the different applications to see which ones help and which ones are bogus! A bit like Internet Marketing products! Whoa. PHENOMENAL post. I think this is by far the most extensive facebook app collection I’ve ever come across. Thanks, Dave. great to see you here. Thanks for the list. I’m planning to create a fan page for my business and i know this would come in handy. Thank you once again! This application contains Facebook Photo Viewer and Facebook Video Player. You can watch all your photos and photos of your friends on one place. This app enables watching photos without entering profiles or unnecessary browsing on Facebook, all with one click. You can sort out photos by your friends’ names, select only photos you are tagged on, or select the albums you want, from the dropping menus, and many more similar functions… Find out who puts most likes (Top Liker) and who writes most comments (Top Commentator) on your photos and photos of your friends, because you do not have this function on facebook. All in all, this app is your Online Photo Album with the Facebook statistics, which is not published by them.